BOTOX®, dermal fillers, non surgical liquid facelift, surgical facelift, great skin care or regular facials – we’ve got it all! 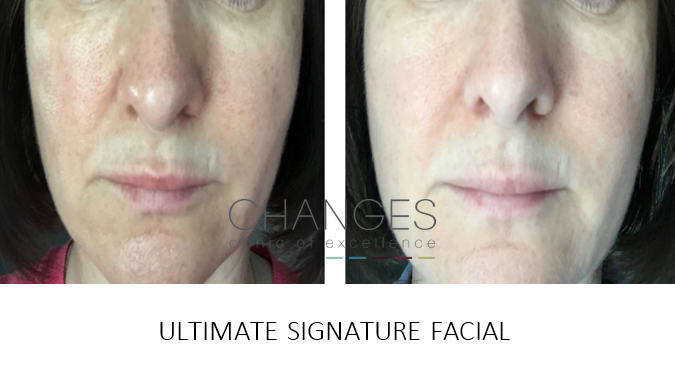 Transform dull, tired and ageing skin into an enviable vibrant and youthful-looking appearance with one of the many accredited face treatments available at Changes. Our range includes several safe alternatives to going under the knife, many of which can be completed in only a few hours. These are perfect at any time, whether you have an important event to attend, a special occasion to feel wonderful for, or if you simply want a little well-earned rejuvenation. The results can be stunning, yet always subtle. One of our most popular facials is the Liquid Facelift, which is known affectionately as the ‘lunchtime facelift’ or multi point lift. Non-invasive, it uses dermal fillers to lift saggy skin and encourages collagen stimulation with ingredients in the product. It is particularly effective on sagging areas, such as the lower face & jowl, but can work equally well on the cheeks & midface. Botox, dermal fillers and mesotherapy treatments are all included in our repertoire, giving you a choice of either regular preventative care for skin or dramatic results! The choice is individual to you! 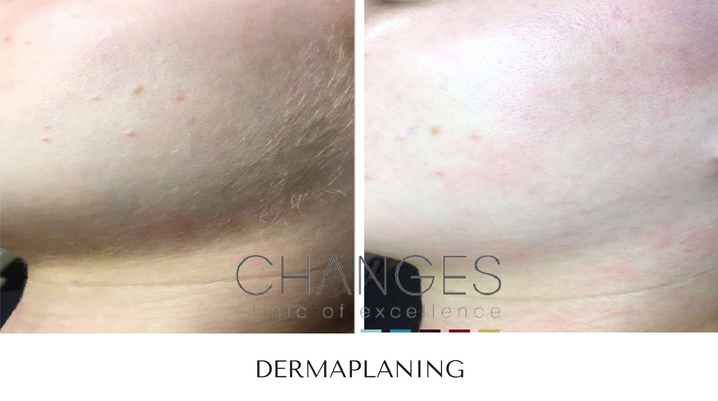 If it’s unwanted hair or a facial flaw that you are longing to get rid of, then we can confirm that Changes clinicians are also trained Sterex technicians. This means they are able to perform IPL hair removal and a variety of electrolysis and epilation procedures to the extremely high standards of the acclaimed international Sterex brand. 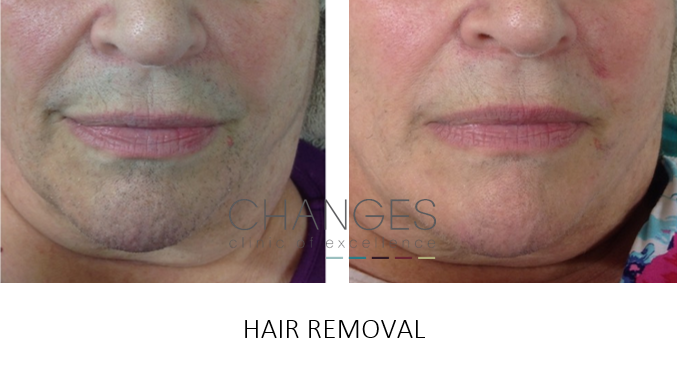 Services offered under this category includes the removal of superfluous facial hair, of facial veins, Campbell de Morgan spots, skin tags, milia and many other types of skin blemish. It is likely that this type of procedure will require a few sessions, but our clients assure us it’s well worth it! Obagi products are recommended to all clients who visit Changes. 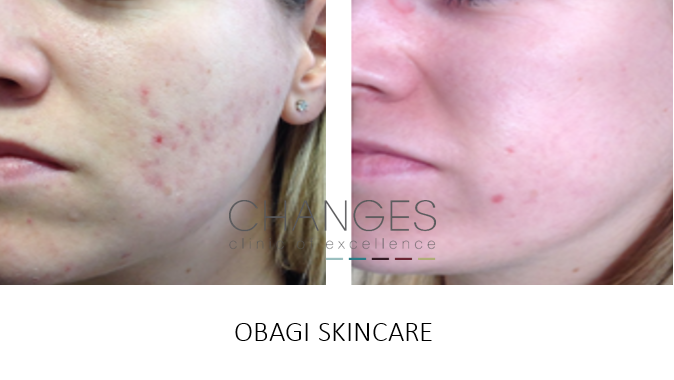 There’s an Obagi product for everyone to help improve their skin. Whether it’s a combination of products to create dramatic results for pigmentation, melasma, acne or rosacea or the essential products such as Vitamin C or Retinol to retain your skin health. Obagi is a brand we trust and a brand which gives great results. Some of us simply want to make a difference with medical skin care or retain health skin. 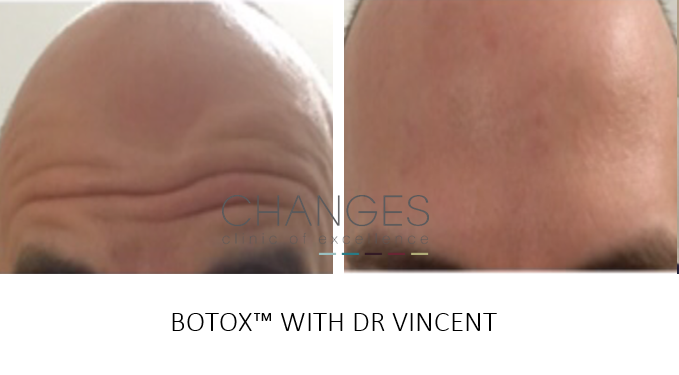 Some of our clients have problem skin, excess hair or want to hold back the ageing process with injectable products. One size doesn’t fit all at Changes. Our treatments will be planned specifically for your individual need. Our consultations are about listening to your needs and finding solutions to meet your budget. Why not take steps to bring out your inner beauty, and feel fabulous when you look in the mirror! To find out more, complete and submit the form on the right, and one of our friendly clinicians will be in touch to discuss your personal requirements. Whether it's a mild peel or a more intense peel you require, this treatment is fabulous for resurfacing skin & stimulating your production of collagen & elastin. 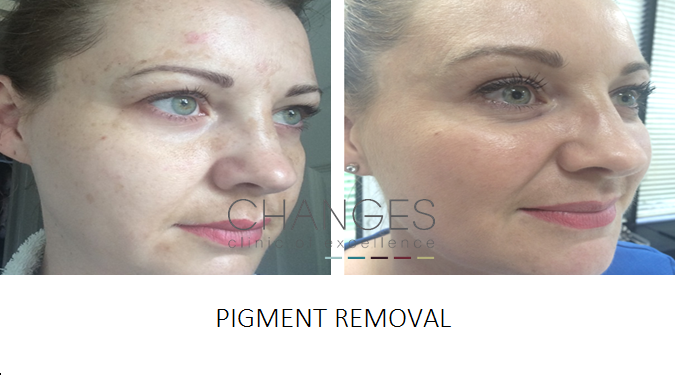 You will see an immediate difference in your skin tone with a "glow" effect and over a period of days see the results of the resurfacing with a reduction in pigmentation, fine lines and overall tone. A fabulous way to maintain healthy skin. Our doctor has been training other medics in the techniques of thread facelifting for several years with more recent advanced techniques for neck lifting too!  Simply explained, a single thread, or if required, a number of threads are inserted through the top layers of skin and pulled through to the point where a balance is retained to achieve good lift. 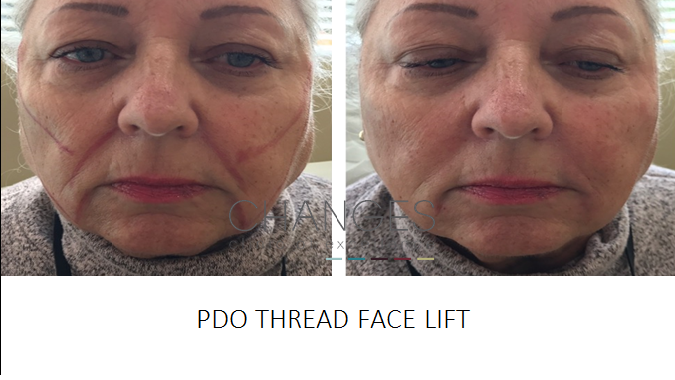 Over time (around 3 months) the thread is fully absorbed by our body, but during that time our tissue has healed around the new structured lift. In some cases, minor bruising may occur, but with very little downtime and less risk or pain than invasive surgical solutions, this treatment is becoming more and more popular. 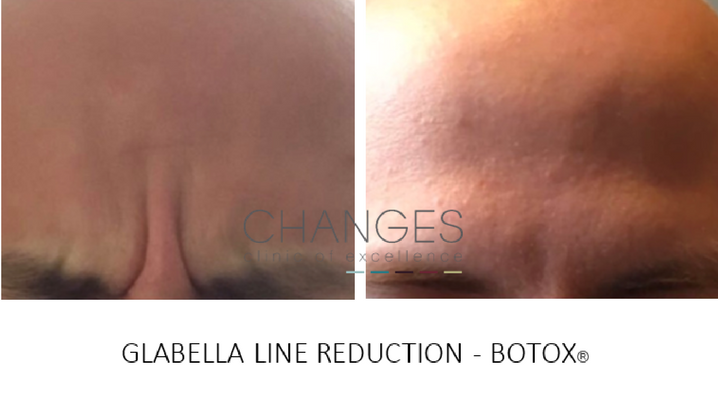 Giving a subtle but effective left to mid & lower face, neck or brow areas this treatment allows you to be back to work without the need for surgical intervention. Effective, affordable & minimal downtime! We have so much choice of skin care available to us on the high street, it's often difficult to know what to use? Pretty packaging, smart marketing & high prices mislead us to buy products which are not necessarily the best for our skin. Medical grade skin care with evidence-based product success is provided after a free consultation with our product ambassador. Your consultation will involve an assessment of your skin, a routine you can work with & a price tag that's affordable & within your budget. 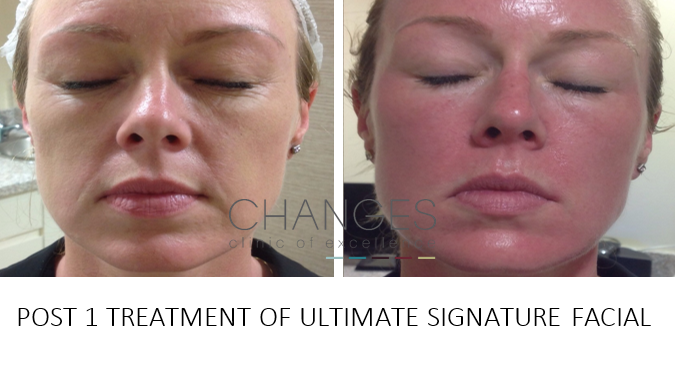 Our patients are happy to allow you to see the before/after photos of the dramatic changes they've seen to improve their skin! 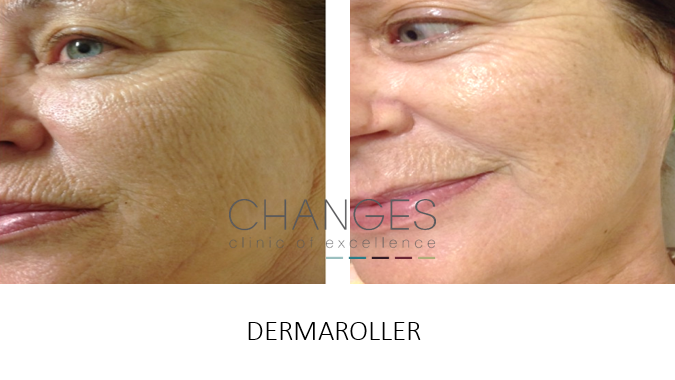 Anti ageing, acne outbreak reduction, scar reduction. Get the glow back! Thread veins or spider veins are tiny red blood vessels which sit under the surface of the skin. They appear to look like wiggly lines and can look 'broken' but in fact they are intact but dilated. A variety of methods are used to treat thread veins: sterex - a form of hydro-cautery, Micro sclerotherapy - a series of tiny injections to close the veins, or intense pulsed light or laser. The most appropriate method will be decided during your consultation with us. Our methods are safe and medically proven to bring success. Rosacea is a poorly understood skin condition. It's symptoms include flushing, a permanent redness of the skin, dilated blood vessels, stinging and burning, and at its worst pustules or papules. Real causes are unknown but the condition can be triggered by spicy foods, alcohol, temperature changes, hormones, sunlight, stress and vigorous exercise. Treatment can help to alleviate the symptoms although there is rarely a cure. Laser light is used to eliminate or reduce dilated blood vessels. Medical grade skincare with trusted ingredients are recommended for use. It's best to avoid cosmetic skin potions which may contain oils or perfumed irritants. When symptoms are reduced or psychological health is improved we feel better about ourselves so often this goes a long way to helping. 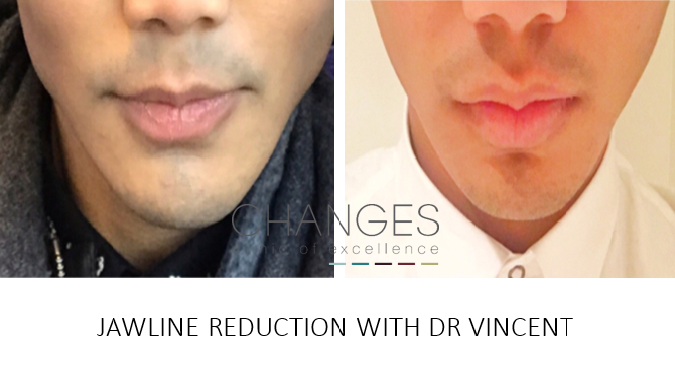 It's great to have a regular facial but it's even better knowing your treatment will deliver evidence-based results. Unlike micro dermabrasion or superficial resurfacing, our facials deliver collagen stimulation with peels, LED light, radio frequency tightening with our patients commenting on the differences they see almost immediately. Ongoing facials are recommended to promote healthy skin with great tone & texture! The pigment cells that give your skin its natural colour are called melanocytes. spread throughout the skin. Most moles are harmless however some can develop into a skin cancer known as malignant melanoma. Moles can be a variety of colours depending on your skin type. They can also range in size and depth often darkening with sun exposure. If you have noticed a change to your mole in terms of rapid growth, change of or an irregular border, itching or are suspect in any way, please seek medical advice for an assessment. Your GP can carry out an initial assessment. If however you require your mole to be removed for cosmetic or practical reasons, your GP is often not able to help due to the pressures of our health system. That's when we can help! Our dermatologist will remove or recommend appropriate treatment for any lesion you require. Want to wake up with subtle make up? Brows, eyeliner, lips or perhaps a beauty spot to last for up to 4 years. 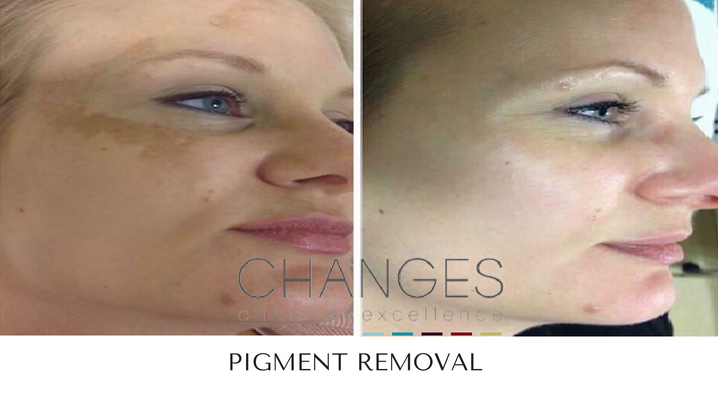 Naomi O'Hara, has 12 years' experience delivering micro pigmentation to the face. As a national trainer she is highly respected so be assured you're in safe hands! 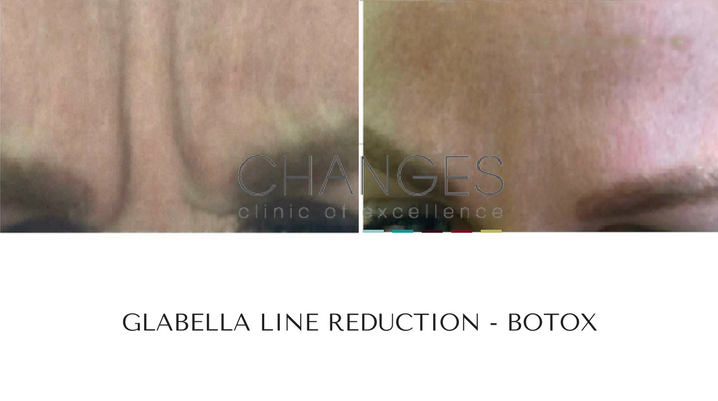 You will receive an initial consultation to decide on pigment colour, shape & technique (micro blading type effect to give a fine hair stroke or otherwise). Two treatments then follow: your initial treatment followed by a review & possible "top up" if required after about 6 weeks. Reshape your brow, define your eyes or create a fuller or more luscious lip! RF is a leading technique using energy to heat the sub-dermal layers to above-normal body temperature. In doing this, the body is ‘tricked’ into believing it has been damaged, stimulating our natural collagen production and triggering the natural healing process. Healing produces subsequent re-modeling or contouring. Wrinkles soften and loose skin tightens. RF can be used on any area of the skin, so if you have a problem with face or neck we can make improvements with a course of treatments. 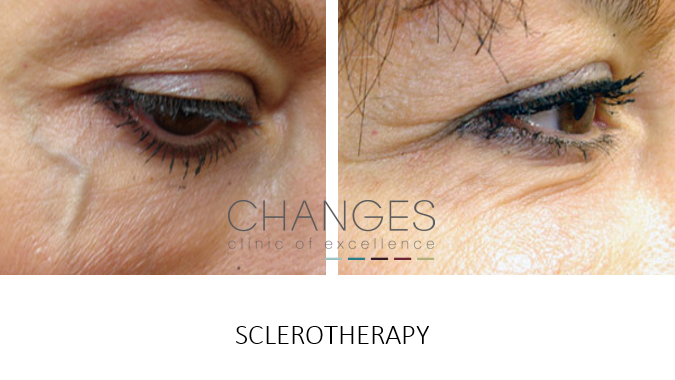 Sterex is a method of advanced electrolysis which is highly effective in removing various forms of facial veins known as spider veins (which are actually simply broken capillaries). 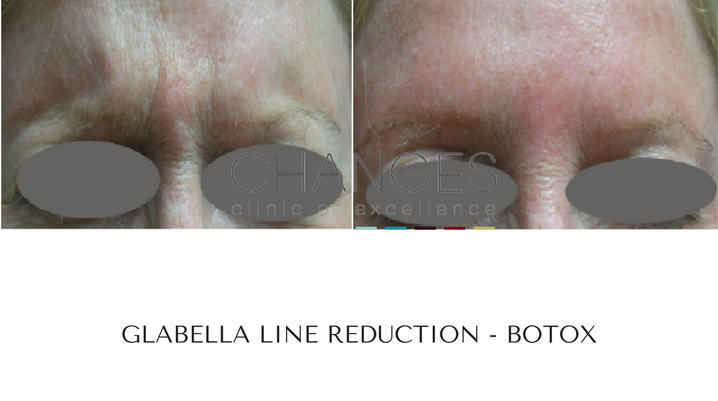 Campbell de Morgan, rosacea and various other facial broken blood vessels can be remedied - sometimes in a single treatment - with electrolysis and the hand of an experienced practitioner! 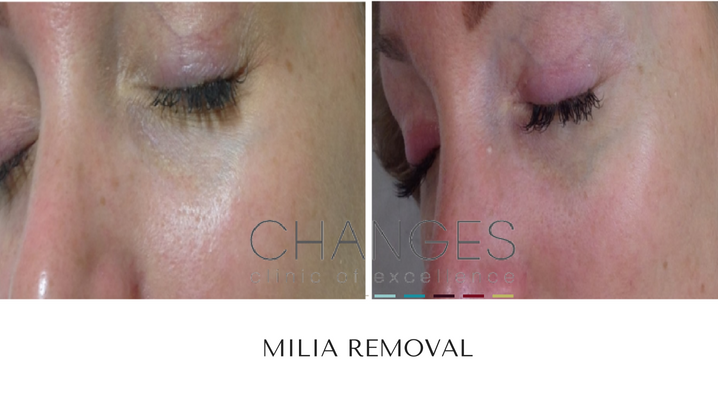 It's a quick & affordable method of removal with no downtime - you can be back to work immediately after. For male and female patients. Using a digital machine we are able to choose the correct configurations enabling us to treat more sensitive areas without discomfort. Our digital machine holds a small needle cartridge which we work into the skin in a rocking motion to break up fibres, this then causes a "wound" and produces a healing reaction which in turn stimulates collagen and elastin to rebuild the structure of the skin. In addition, we apply medical grade products to the skin which flow freely down the channels created by the tiny needles, meaning the active ingredients do not need to pass through layers of skin and weaken in strength. Instead the highly effective ingredients are placed in the layer of skin needed to see changes on the surface of the skin. 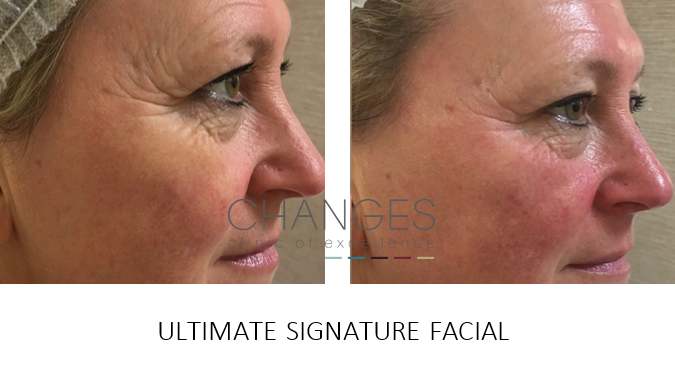 A liquid facelift can be such a fabulous way of giving your face a rejuvenating lift placing dermal fillers very strategically to re-contour, volumise & balance the ratio of your face. 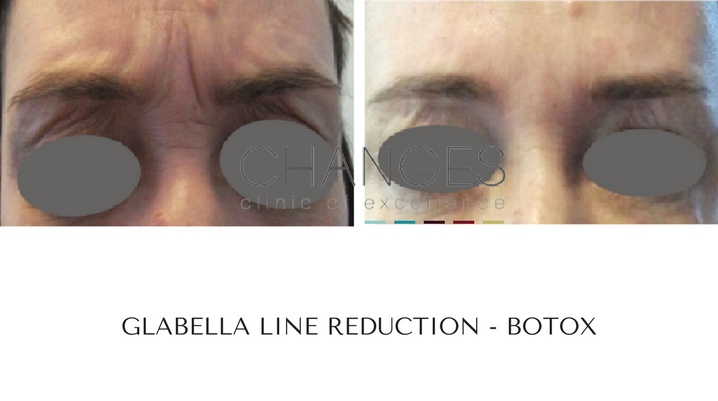 After a consultation to decide on placement, botox and/or filler is used to plump & contour sagging areas & lines. Really effective and affordable. Very little downtime is a big plus for this treatment. 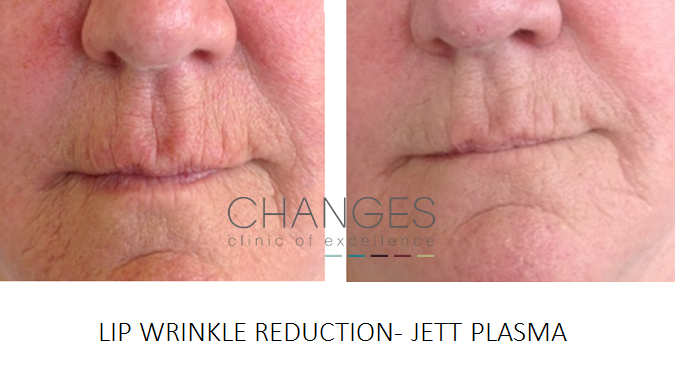 If you're looking for a dramatic result with results that won't be achieved with any other treatment, then it's a surgical facelift you may be after? You will need an overnight stay at a local hospital along with several weeks of bruising but it'll be worth it for the result! Lower face or full facelifts are available with finance up to 5 years if you want to budget.